"Community pharmacies are at the heart of the NHS and are crucial for our prevention agenda to help more people stay well, a core part of the NHS Long Term Plan. "I am pleased we are beginning discussions with the Pharmaceutical Services Negotiating Committee on the future Community Pharmacy Contractual Framework, guided by our new Public Health Minister Seema Kennedy. "As part of the Long Term Plan for the NHS we want to see pharmacies deliver a wider range of more efficient services and give patients more control over their care and personal health. The start of these negotiations signals an important step in delivering that ambition." 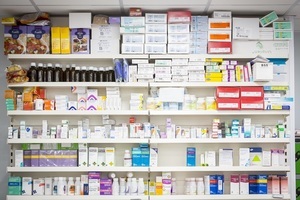 "PSNC is pleased to be able to begin these negotiations, the outcome of which will be absolutely critical for all pharmacy contractors in England. "There are going to be some difficult conversations over the coming months but our negotiating team includes experienced PSNC members from both the independent and multiple sectors, so contractors can be assured that we will be well equipped and absolutely committed to getting the best possible deal for community pharmacy. "Our priority is to seek a sustainable future for community pharmacy to enable us to better utilise the skills and knowledge of pharmacy teams to help people stay well in the community."